The European Commission says the number of clinical trials carried out in the EU has fallen by 15% in recent years, while administrative costs and delays have doubled. Medical researchers blame the extra costs and red tape on EU rules introduced in 2001, which aimed to impose tighter controls on monitoring and reporting drug trials to boost patient safety. Under the current controversial Clinical Trials Directive, companies or researchers wanting to hold clinical trials in more than one EU member state often have to submit separate applications in each country where the trial is being conducted. The European Union's health and consumer commissioner, John Dalli, has said the new rules will introduce a harmonised EU submission system for trials, meaning that applicants will only have to submit information once. Cross-border trials are particularly important for testing treatments for rare diseases, where there are often too few potential trial patients in a single country. About a quarter of all EU trials currently involves between three and five countries, the Commission said. Many scientists say that in recent years clinical research has moved to non-European countries because some nations are less strict in their oversight of trials. For example, in 2007 there were more than 5,000 applications to conduct trials in the EU – but by 2011, that number had plummeted to 3,800. In an attempt to further streamline the rules, the Commission is proposing to replace the current EU directive – which each member state must transpose into its own national law – with an EU regulation applying equally in all 27 countries. "Clinical trials are crucial for developing new medicines and improving existing treatments. This is why today's proposal significantly facilitates the management of clinical trials, while maintaining the highest standards of patient safety and the robustness and reliability of trial data,” Dalli said. According to the commissioner, €800 million per year could be saved in regulatory costs while boosting research and development in the EU, thus contributing to economic growth. The proposal must now navigate Europe’s Parliament and Council of Ministers before it can become law. Peter Liese, a German member of the Parliament and health spokesman for the centre-right EPP group, said he aimed to fix mistakes in the original directive that hampered trials in Europe and pushed them to countries such as India. Under current rules, trials done outside Europe must be conducted under "equivalent standards to the EU", to be used as the basis for approving new drugs. The Commission proposal plans for Brussels to inspect the regulation of trials in India, China and other countries where they are carried out. But Liese argued that overseas standards are difficult to verify and that foreign trials should therefore not be used to approve new medicines. "It's a delicate balance, but we think we have a responsibility there for the poor people that risk their life in India, but also for the patient in Europe that might not be treated in the optimal way when the data are not generated under reliable conditions," Liese said. Liese also wants different rules for non-commercial trials carried out by academics, charities or patient organisations, allowing them to start faster and operate with less regulation. Such trials are considered less risky than commercial trials because they experiment with drugs already on the market. 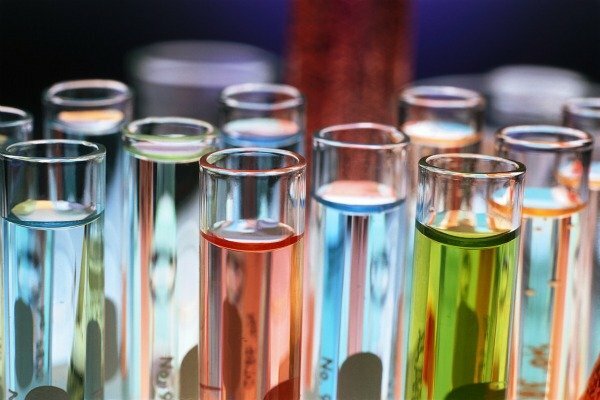 Richard Bergström, director-general of European pharmaceuticals association EFPIA, said the simplified rules are necessary to reverse the downward trend in clinical research. "The Commission's proposal provides a unique opportunity to create a competitive European medical research environment for the next 20 years, capable of supporting the discovery and development of tomorrow's treatment for the benefit of European patients," Bergström said in a statement. The new rules have been criticised by researchers who say costs and red tape has increased without bringing any major benefit to patients, researchers or industry. EURACTIV Czech Republic: EU chce usnadnit pravidla pro klinický výzkum lék?